From name establishment to town library to state of the art facility. From 1838 through 1858, one of the stops along the Louisville and Nashville Turnpike stagecoach was a two-story Inn built around 1829. 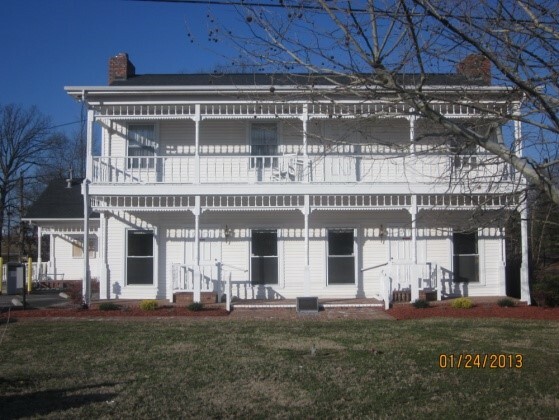 The building happened to be painted white, which was particularly rare during this time, especially in the underdeveloped land between Louisville and Nashville. Stage coach drivers and others began to refer to this stop and the surrounding area as “White House”. The inn served early travelers along this primary route of travel, between Louisville, Kentucky and Nashville, Tennessee. Troops later used this pike during the civil war. 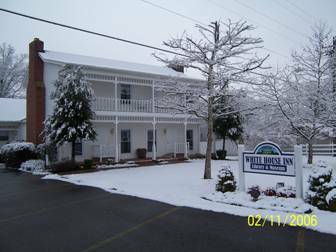 Because of this historic inn, the community that grew up around it began to be called, “The White House.” However, the monument for which the town was named was torn down in 1951 to make way for new development. In 1986, the communities of Tennessee were encouraged by then Governor Lamar Alexander to adopt a Homecoming ’86 project. Members of the White House Chamber of Commerce conceived the ideas for the construction of a replica of the White House Inn and a public library. They decided to combine the two, and a committee was formed to plan and carry out the project. Money for the project was raised by donations, auctions, selling of bricks, and other fund raising projects in the community. The City of White House contributed money and land for the project, and funding was also received by both Robertson and Sumner counties. The library opened its doors on October 13, 1987 with approximately 5,500 volumes from the Regional Library Center, a museum on the upper floor and the Chamber of Commerce on the west side of the building. As the city grew, the library quickly started to run out of space. An addition was added to the building in 1992. However, even with this expansion, the building was not suited for the city’s growth and changes in technology. Thus, funding was approved for a new facility on December 17th, 2012. Additional funds were obtained from Sumner County, a state grant, the memorial foundation, and fundraisers within the community through the Friends of the Library. On June 27 2014, the city broke ground and a little over a year later on August 3rd, 2015, the new 13, 440 square foot building opened to the public. 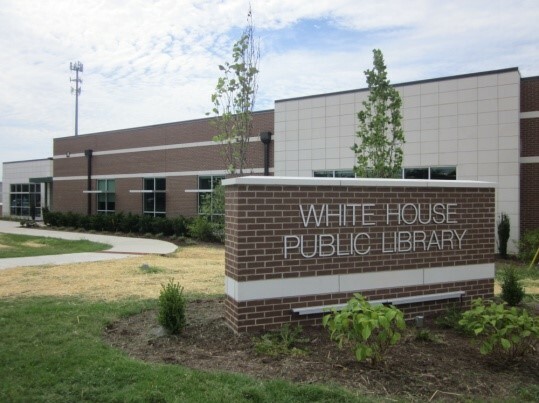 The building has a teen area, children’s and story time room, computer lab, three study rooms, reading areas, collection expansion space, a coffee shop, and additional technology devices for the public.